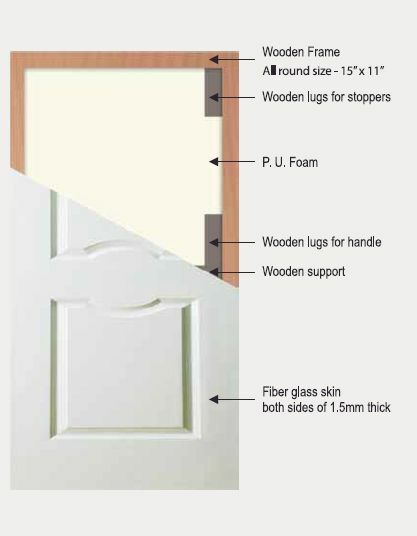 Wholesale FRP Doors,FRP Doors Manufacturer & Supplier in Umbergaon Road India . Located in Gujarat, India, we are engaged in manufacturing and supplying preeminent quality FRP Doors to all of you out there. The FRP Doors, provided by us, are sturdy in construction, 100% water resistant and accurate in dimensions. Moreover, their unmatched quality and inclined longevity have fetched so many buyers from all over the nation. With us, feel absolutely free to place small as well as bulk orders.